Sweden’s container ports have been crippled by a mass walkout by dockers, following a row over union representation. 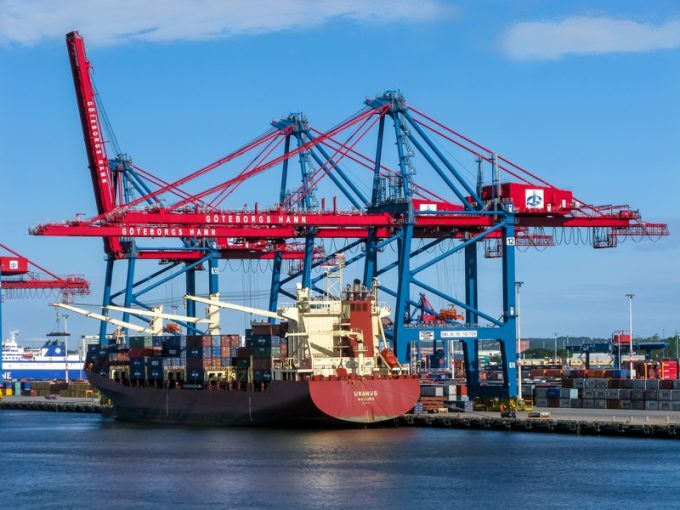 A spokesperson for the Swedish Harbour Workers’ Union told The Loadstar around 1,000 dockers were participating in three-hour strikes, but had been locked out for the whole day and evening. “The employers’ organisation, Ports of Sweden, has escalated the conflict with massive lockouts,” said the spokesperson. The strikes were set for three-hour slots in various ports across the country for today, tomorrow and either Friday or Sunday. Among affected ports are Gavle, Gothenburg, Helsingborg, Holmsund, Karlshamn, Malmö, Stockholm, Soderhamn, Sundsvall and Umea. “The reason for us giving notice about the strikes is that we want to sign a national CBA [collective bargaining agreement] with Ports of Sweden,” explained the spokesperson. Reports claim some 30 workers began striking at Malmo this morning. The terminal operator imposed a lockout which prevented some 1,000 employees from working. Mediators recently secured a compromise deal following more than two years of disputes between the SHWU and the port company. However, the Swedish Transport Workers Union (STWU) opposed it, concerned it would find itself shut out of future local negotiations. Secretary of the STWU Peter Winsten slammed the Swedish Harbour Workers’ Union as “irresponsible”. He said: “Their actions affect Sweden’s dockers, Swedish imports and the export industry, and in the long run there is a risk it will also hit the industry if more goods are moved on the road. “We have worked long and hard to help strengthen Sweden’s ports and create more jobs; this goes in the opposite direction and also risks pushing the employers into the arms of staffing companies. Workers operating under the STWU’s CBA are not affected by the lockout, but Mr Winsten said previous disputes led terminal operators like APMT to impose layoffs across the board. In 2017, APM Terminals, which runs the port of Gothenburg’s container facility, cut its workforce by more than a third as volumes migrated to neighbouring ports in response to ongoing labour disputes. That year, the port recorded its lowest ever throughput, with volumes plummeting 19%. Last year, it reported a 17% year-on-year increase, however, this was 2% down on the volumes it handled in 2016.